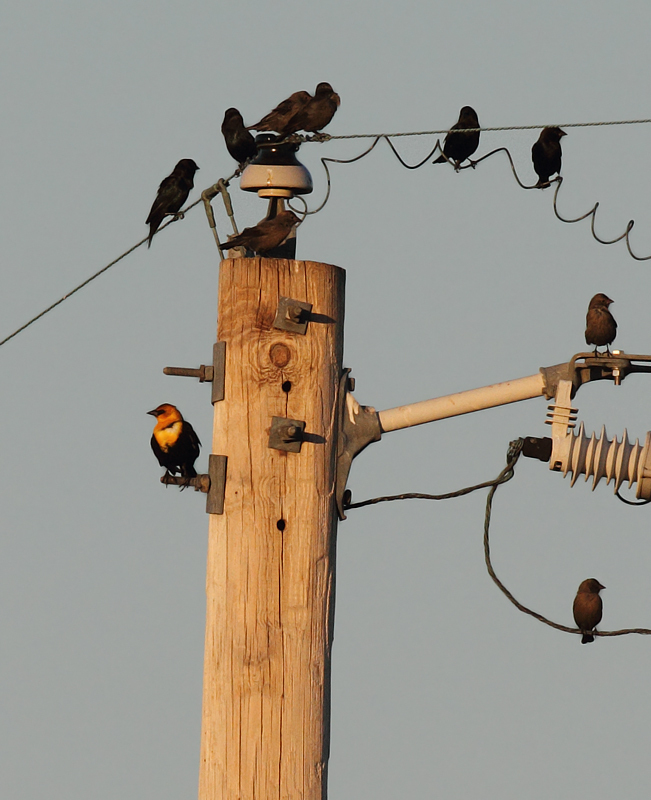 October in Maryland, including the Assateague Island Big Sit. 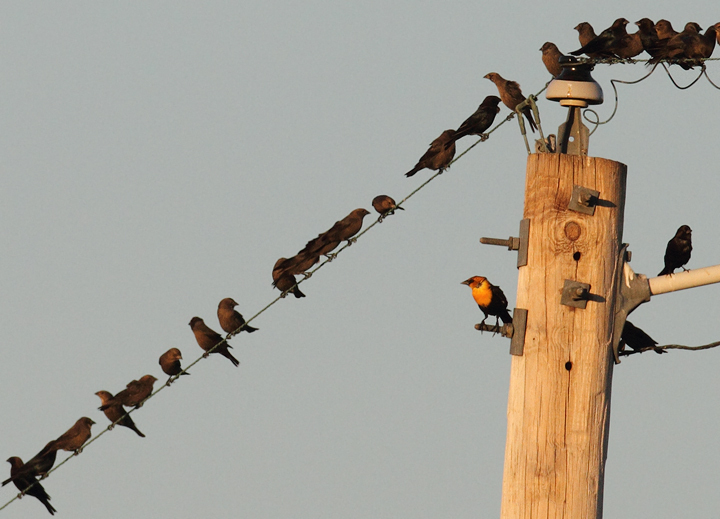 Last updated: 10/11/2010. 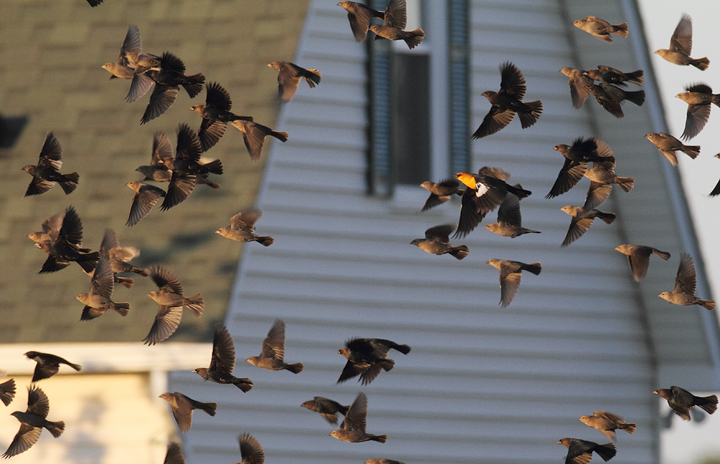 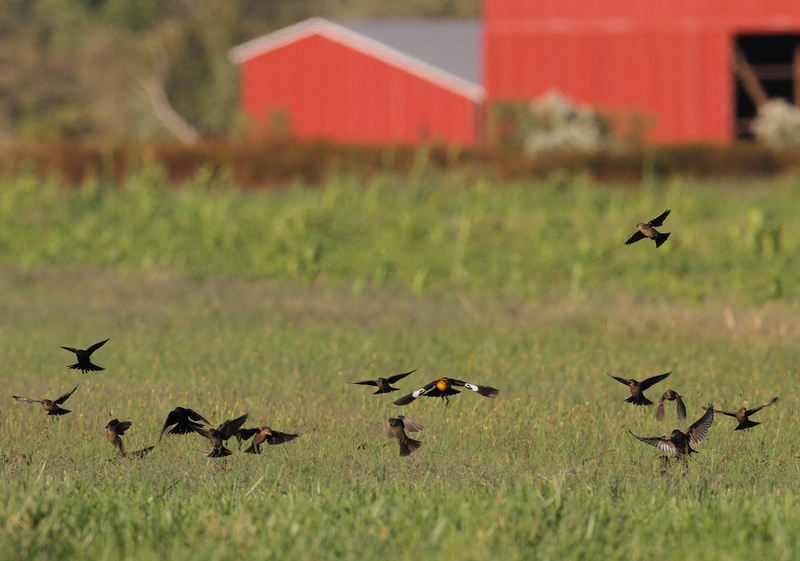 Above and below: An adult male Yellow-headed Blackbird in St. Mary's Co., Maryland (10/17/2010). 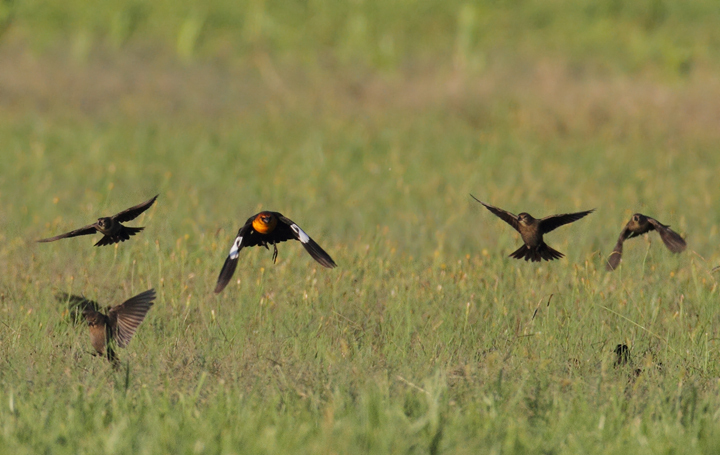 A great find by Patty Craig. 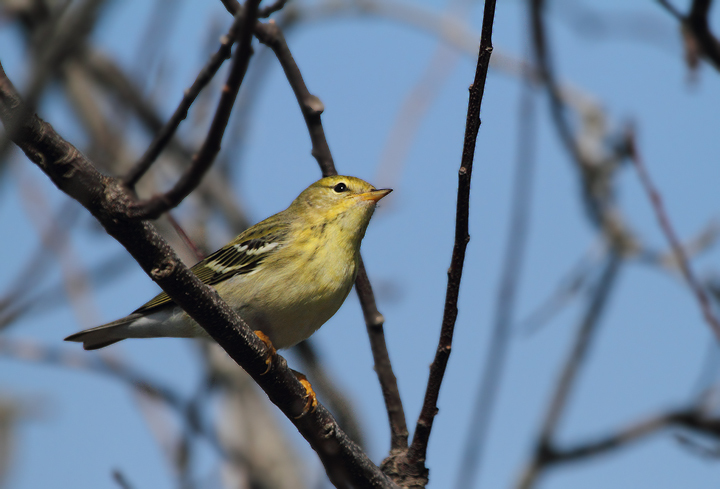 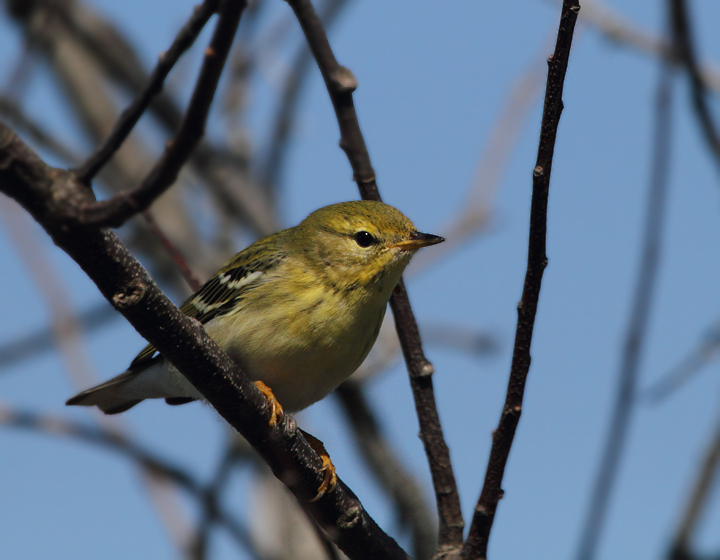 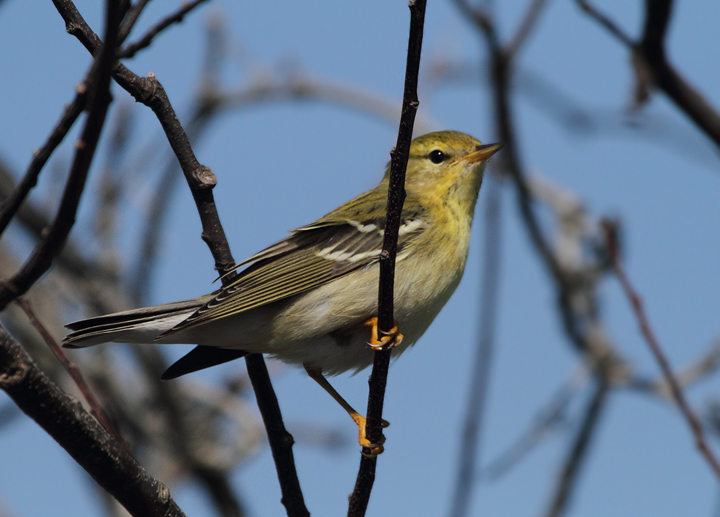 Above and below: A Blackpoll Warbler on Assateague Island, Maryland (10/10/10). 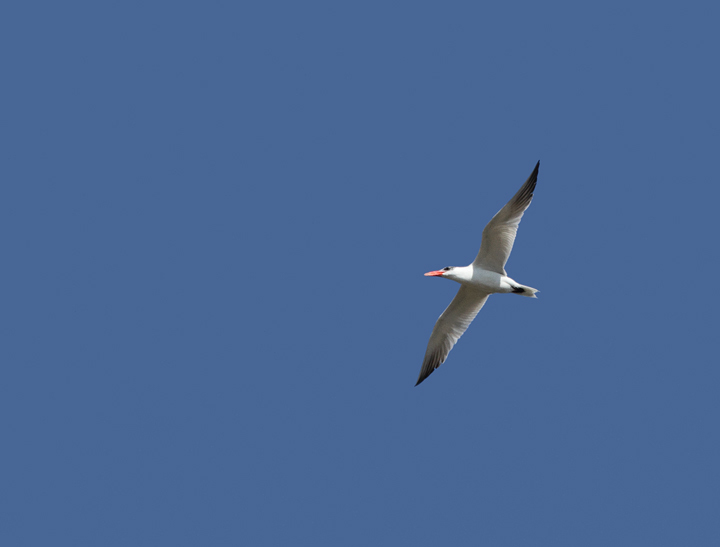 Below: A Caspian Tern flies over the Big Sit at Bayside, Assateague Island (10/10/10). 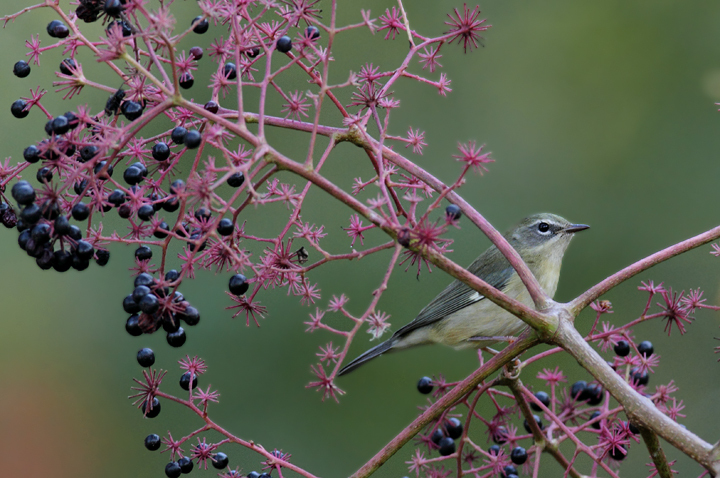 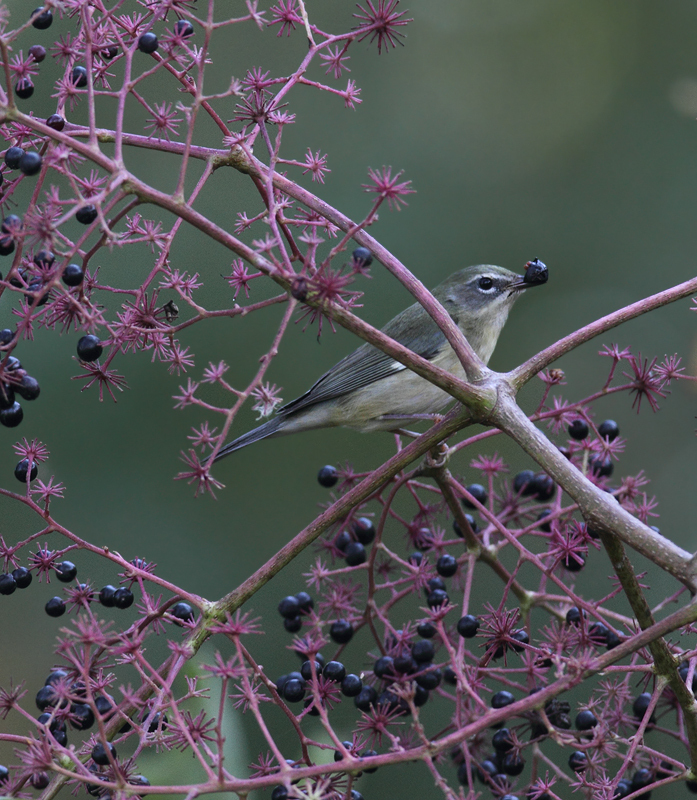 Below: A female Black-throated Blue feeding on Devil's Walking-Stick berries in Somerset Co., Maryland (10/10/10). 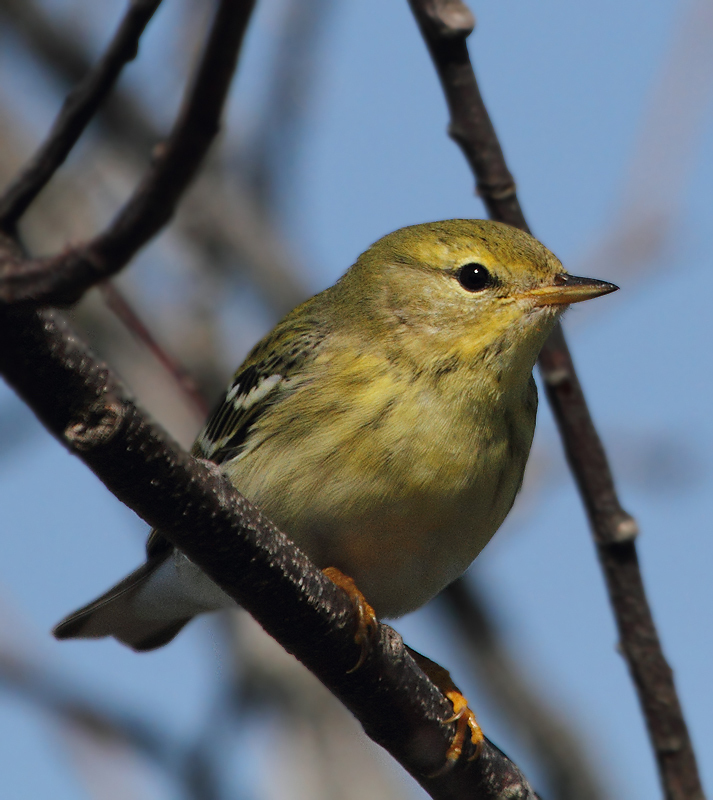 Below: One of several especially confiding Blackpoll Warblers lingering at Fort Smallwood, Maryland (11/16/2010). 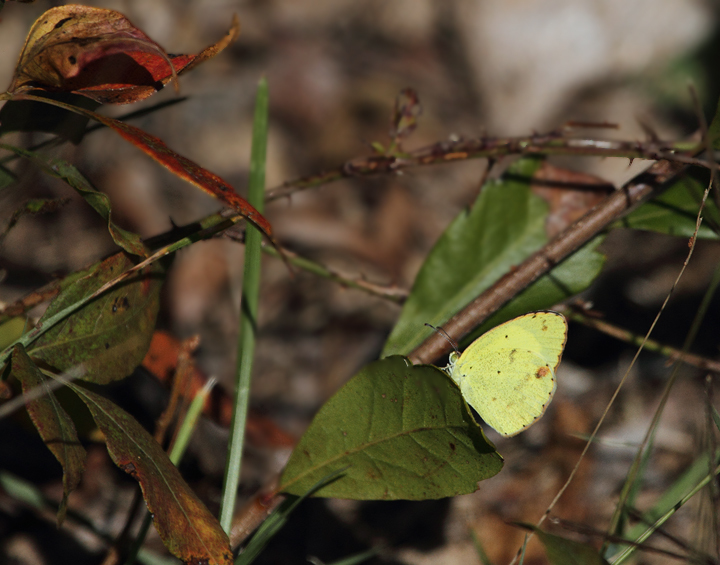 Below: A Little Yellow on Assateague Island, Worcester Co., Maryland (10/10/10). 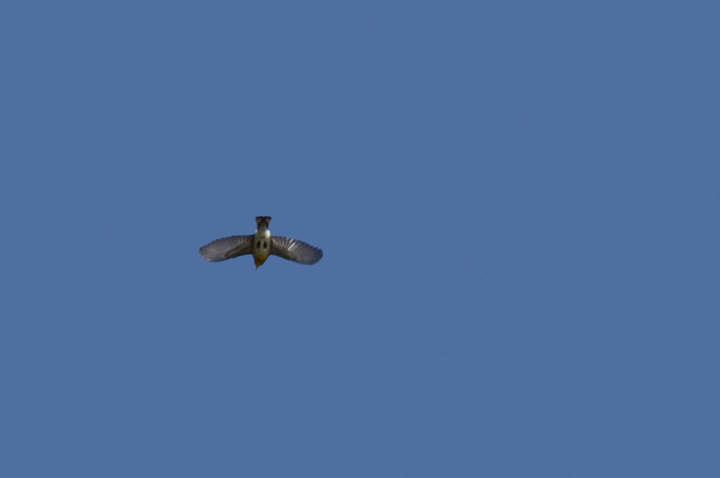 Below: A Northern Parula in the morning flight on Assateague Island, Maryland (10/10/10). 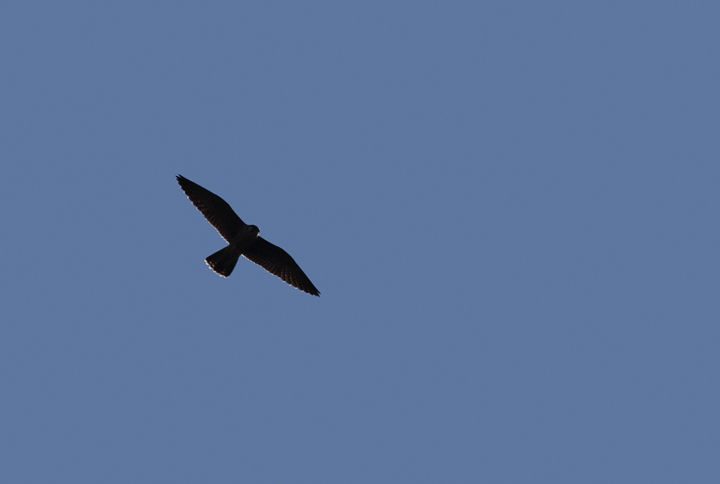 Below: A Peregrine Falcon soars over Assateague Island, Maryland (10/10/10). 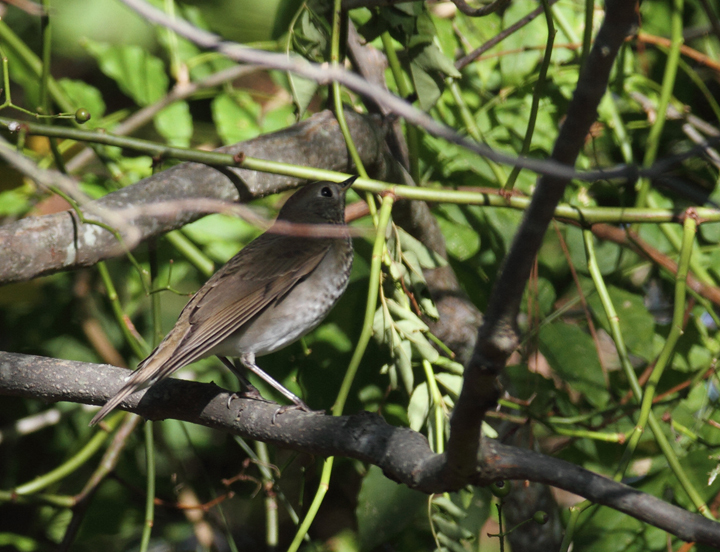 Below: A Gray-cheeked Thrush, probably C. M. minimus, exhibiting plumage on the extreme end for warm, rufous coloration for Gray-cheeked Thrush - Point Lookout SP, Maryland (10/2/2010). 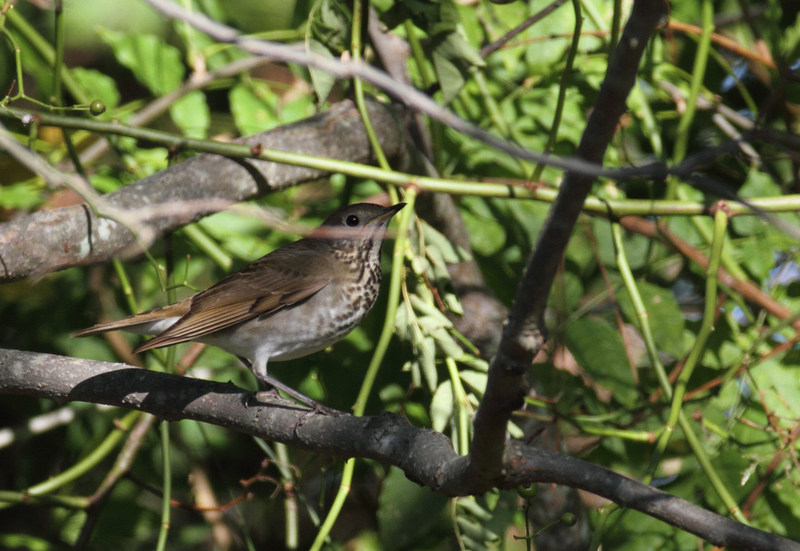 This individual demonstrates the need for extreme care in identifying Bicknell's Thrush, especially via plumage details. 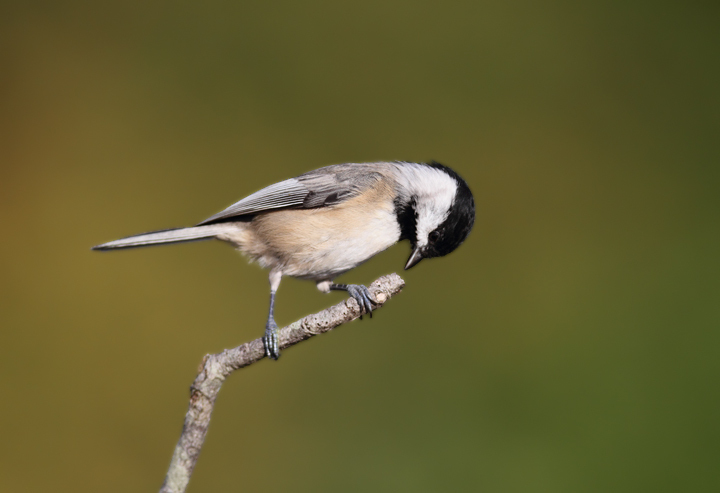 Differences in voice, although subtle as well, are more reliable. 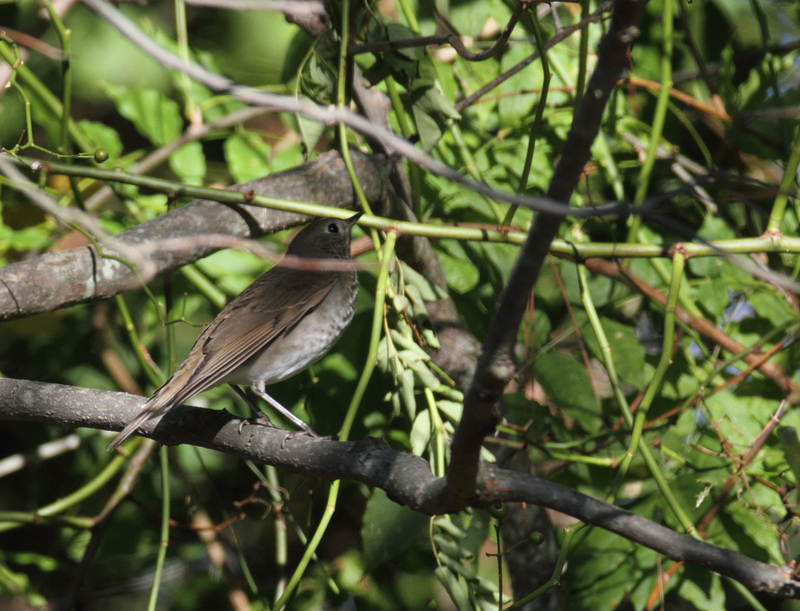 Details that support the ID as Gray-cheeked include the following: Primary projection beyond tertials is greater than the extension of tertials beyond coverts (ratio should be opposite in Bicknell's); subtleties in structure (should be shorter-winged, rounder-headed); apparent ashy cast to the back. 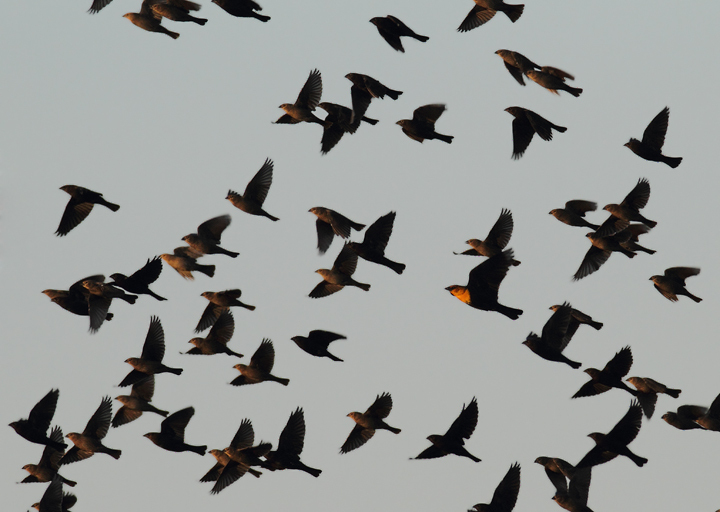 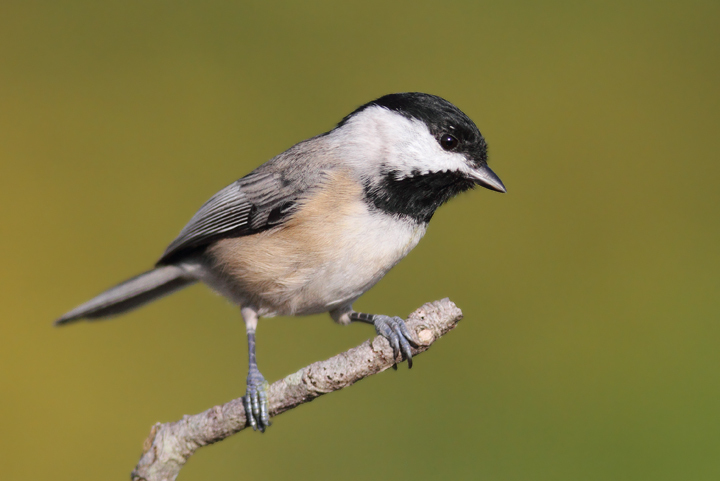 Michael O'Brien noted that the primary spacing seems to be in the intermediate zone between Gray-cheeked and Bicknell's and that the warm tones in the tail seem outside the range of our (alicae) Gray-cheekeds. 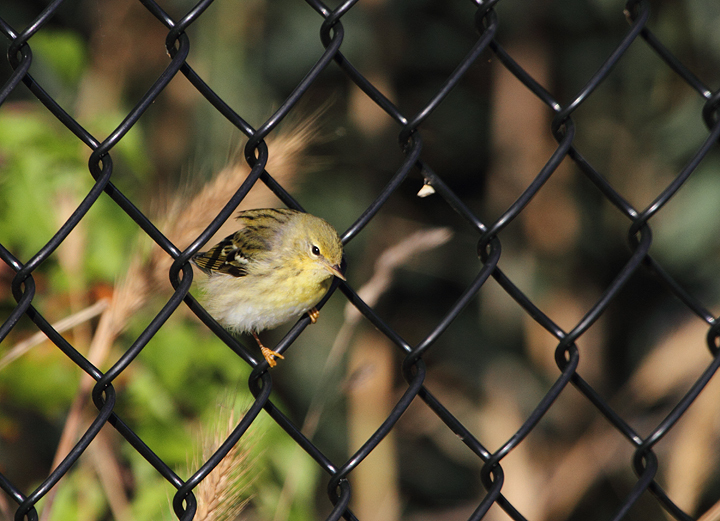 Many thanks to Paul and Michael O'Brien for weighing in on this bird. 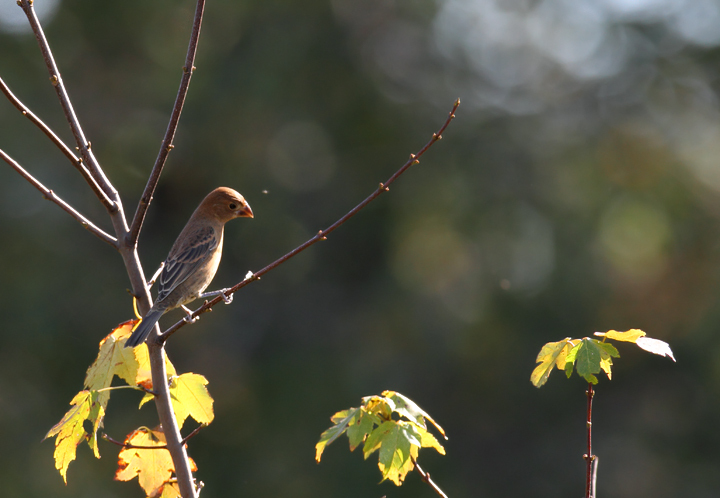 Below: One of four lingering Blue Grosbeaks in a field in Somerset Co., Maryland (10/10/10). 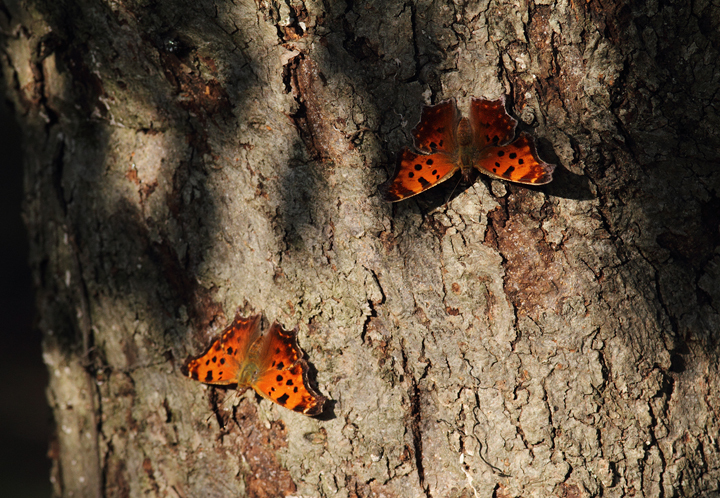 Below: Two Eastern Commas were among over 50 anglewings at one site in Somerset Co., Maryland (10/10/10). 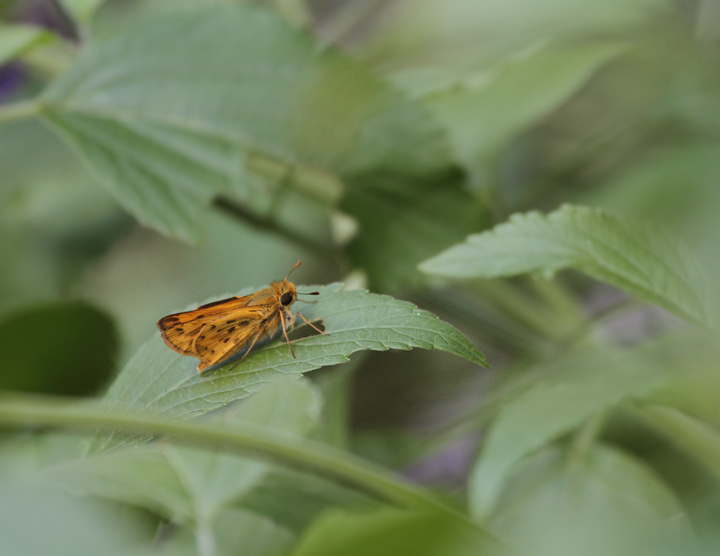 Below: A Fiery Skipper in our yard in Anne Arundel Co., Maryland (10/2/2010). 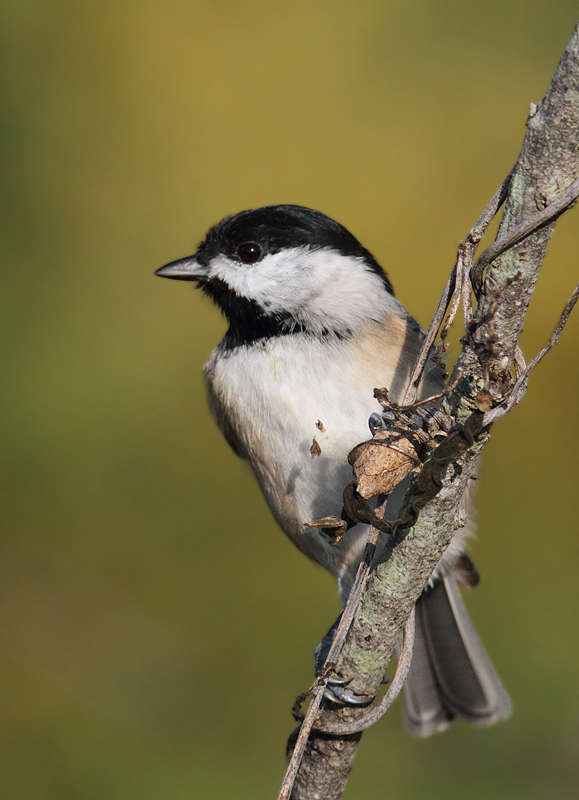 Below: A Carolina Chickadee in Somerset Co., Maryland (10/10/10).